Look through the archives of past expos and learn about the history of WEE. The Event was held at 10905 Livingston Road in Fort Washington Maryland. The expo started off with a ribbon cutting ceremony, hosted by Pat Lawson-Muse of NBC4-TV. It was well attended by over 300 attendees, including community leaders, Delegate Joseph F. Vallario, Delegate Herman Taylor, Council Member Tony Knotts, and Edward Burroughs, student board member. 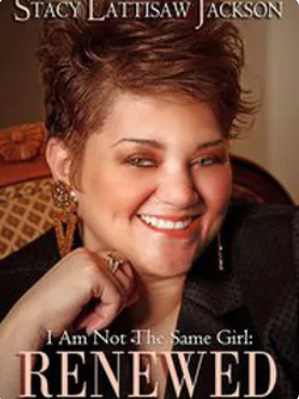 We had nine dynamic speakers, who all expressed their interest in speaking at the 2011 expo. 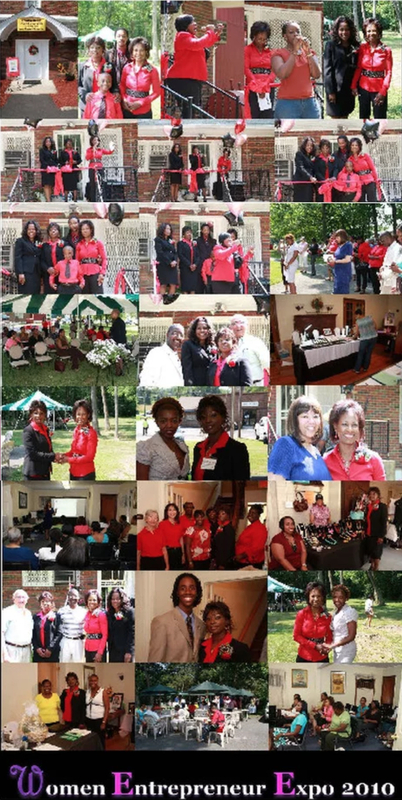 The 2nd Annual Women’s Entrepreneur Expo was held on Saturday September 12, 2011 at the Freedom Manor in Fort Washington, MD. The day started off with opening remarks, prayer, and a skit by Sheritha Bownan, a playwright. We had dynamic speakers, authors, and entrepreneurs who made a powerful impact on those who attended. 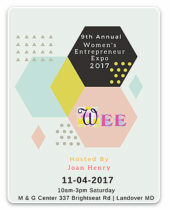 Below are pdf files that show various highlights and information about the WEE 2011 Expo (Click to Download). The 3rd Annual Women’s Entrepreneur Expo was held on Saturday 22, 2012 at the Doubletree Hotel in Linthicum, MD. The day started off with opening remarks, prayer, and a Jazz selection. We had dynamic speakers, authors, and entrepreneurs who made a powerful impact on those who attended. 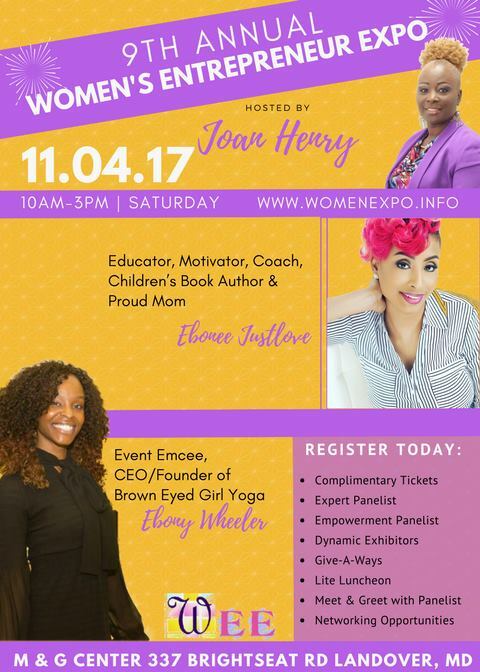 The Women’s Entrepreneur Expo will now be held twice a year. The 5th WEE event was held at Signature Blue Events in Landover, Maryland on April 26, 2014. The day started off with a welcome, prayer, and a musical selection from local talent, Mahalia Jackson. 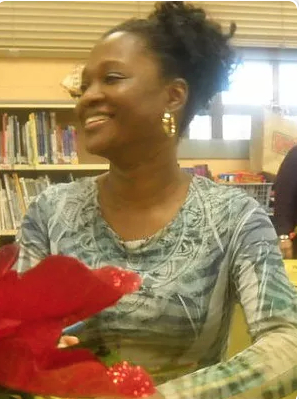 The event was hosted by Ms.Ebony Wheeler. At the expo, live interviews were done by Patsy Anderson of WBOL 1010am, and Chere Cofield and Caprice Smith of www.mwhyradio.com. 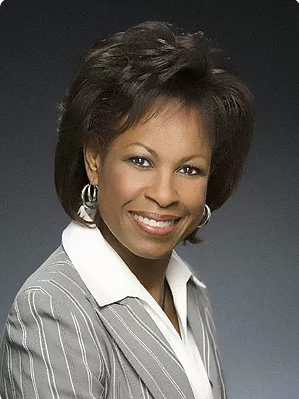 During the expo, Ms. Caprice Smith who was recently crowned Mrs. Corporate America took the stage and gave a synopsis of what to expect from her as a speaker at the “fall” 2014 expo that is scheduled for October 4, 2014. The event ended with the “Entrepreneur’s Platform”. This is a segment where representatives from various businesses gave a short overview about their business. The Keynote speaker was Michele Gilliam Morrissey, along with Chere Cofield, Patsy Anderson, and Veronica Drake. Several community leaders attended the expo, to include senatorial candidate, Mr. Will Hanna Every expo has its carefully designed highpoint, and the “spring” 2014 expo was no different. The new WEE Essay Writing Competition was announced. This segment is for youths(females) between the ages of 13-17 who would like to become an entrepreneur can participate in the contest. (See website for official rules and instructions). The pdf below highlights the event (Click to Download). The 7th Annual Women’s Entrepreneur Expo was held on Saturday April 25, 2015 at the Signature Blue Events located in Landover, MD. The day started off with opening remarks, prayer, and an amazing give-a-way. We had dynamic speakers, authors, and entrepreneurs who made a powerful impact on those who attended. 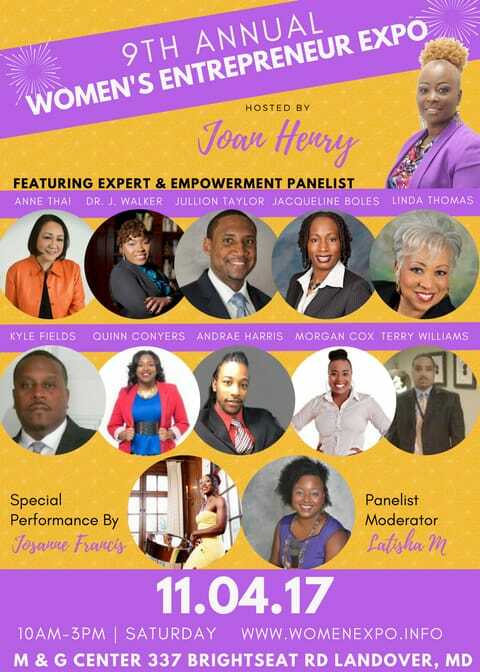 The 8th Annual Women’s Entrepreneur Expo was held on Saturday April 22, 2016 at Nyumburu Cultural Center – University of Maryland-College Park Suite 1120 Building #232 – College Park, Maryland. We had dynamic speakers, authors, and entrepreneurs who made a powerful impact on those who attended.